Three reasons are said to be delaying the return of thousands of displaced families who fled disputed territories in Diyala province though given the green light by security authorities. Ayub Azzawi, a resident of Jalawla, one of several other territories disputed between the Iraqi federal government and the Kurdistan regional government, says his home along with hundreds others has been destroyed during the war against the Islamic State (IS) group. Azzawi who currently lives in an IDP camp in Kahnaqin, northest of the province said he has delayed his return to Jalalwla although he was granted the permission to return by security departments 7 months ago. “My return depends on how soon our home would be rehabilitated”, he said. Jalawla, a sub-district associated with Khanaqin was controlled by IS in mid-2014 and was recaptured as a result of joint military operations by Iraqi Popular Mobilization Forces and the Kurdish Peshmarga forces towards the end of the same year. 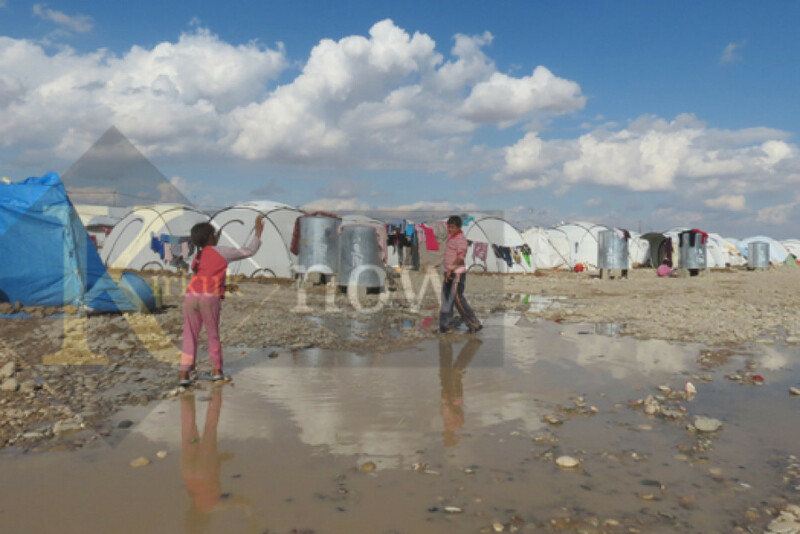 The IS advance into Jalawla led to the displacement of an estimated 80 thousand people, mostly women and children. A gradual return of these families started in mid-2015. Meanwhile, Tahsin Ali who fled his village in Qara Tappa said, “Our village is abandoned, and most of the electric utilities have been looted by IS militants”. He stressed that his return is bound to the provision of essential services in his home area. He also referred to “tribal disputes and other consequences of terrorism which have affected the social structure in some areas” as other obstacles hindering the return of some of the displaced families. Al-Dayni emphasized that tremendous efforts are required from the government, most urgently the provision of compensations to help rehabilitate damaged homes. Meanwhile, Ahmed al-Zarkushi, Sa’diya sub-district commissioner said, “more than 2 thousand displaced families have not yet undergone scrutiny measures by the national security department”, a step they should pass before being permitted to return.